Chinese smartphone manufacturers like Huawei, Xiaomi and LeECO are launching smartphones almost every alternative week. Vernee which became popular with their first Apollo smartphone has also similar plans to launch half a dozen of smartphones. This new recent trend has been adopted by Meizu yet. After launching Meizu M3 Max in September 2016, company has planned to introduce Meizu M5 as spotted on Chinese social network Weibo. 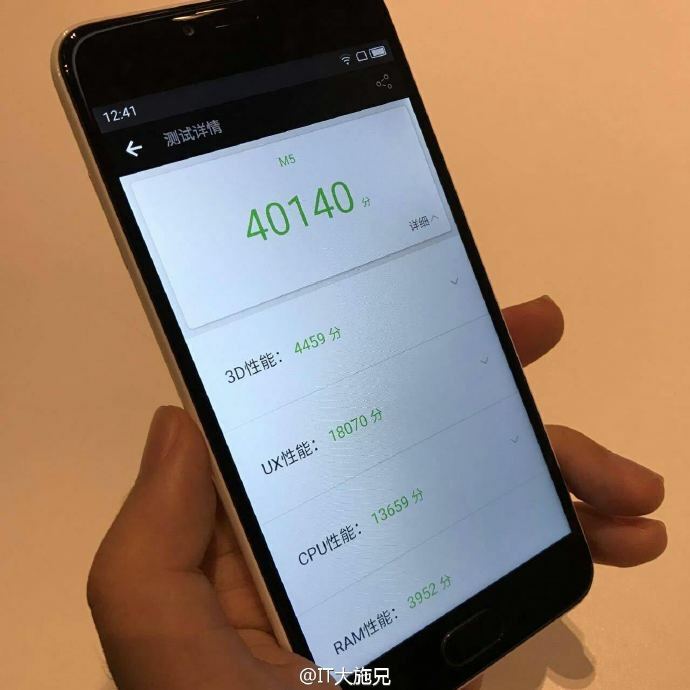 A couple of the Meizu M5 spy photos were leaked showing the Antutu benchmark score of the device. 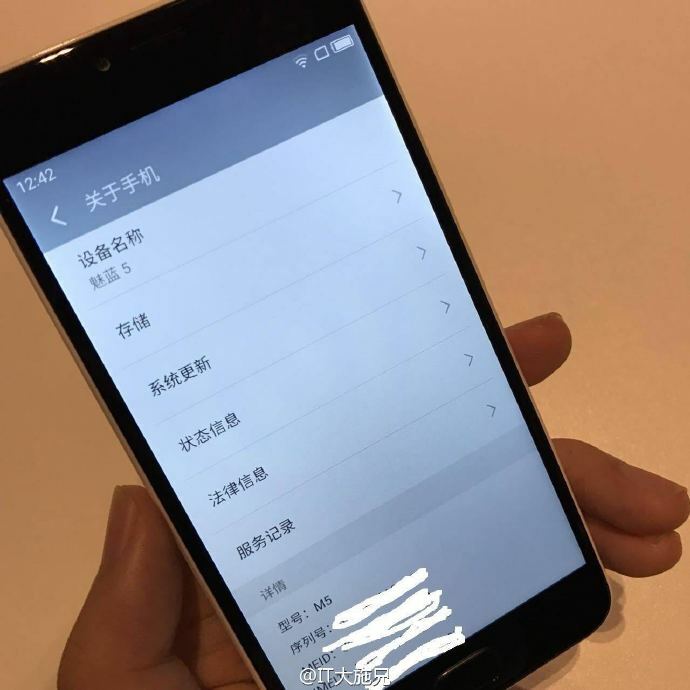 As per the photos, the device will be codenamed as “Meizu M5“. It will be an entry level smartphone equipped with 5 inch 1280 x 720 pixels HD display and powered with Mediatek’s MT6750 Octa core processor clocked at 1.5 GHz. It has 2 GB RAM with 16 GB onboard storage and Mali T860 is given the task to handle the graphical processing unit. 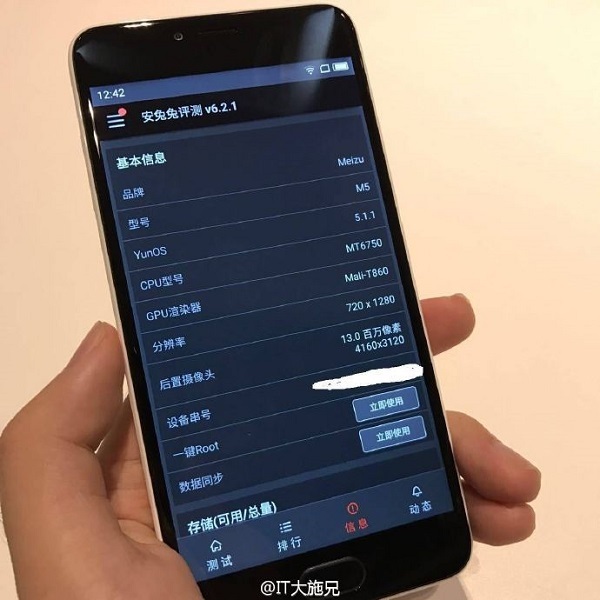 The Antutu score of the device as spotted on the image leaked above is found to be 40,140, indicating that the device is an entry level handset. It runs on Alibaba’s Yun OS 5.1.1 operating system and has 13 mega pixel primary camera with LED flash. 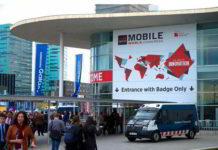 Although there is front-facing camera on the device but the mega pixel count isn’t known yet. It will competing with the likes of Huawei Honor 5C, Xiaomi Redmi 3S and Redmi 3S Prime smartphones locally in China. As of now launch in homeland China is only expected. Looking at the rumored internal specifications, the device shouldn’t be priced anything more than $100, however we hope to see it priced close to $90 or $80. That will make entery-level handsets competition more interesting. We will hear more about this mysterious Meizu handset in coming days. Stay tuned for more news on TechnosAmigos.